Last edited by Blaze_ATX; 05-12-2018, 05:02 PM. Oh man, these are absolutely hilarious (especially the Big Trouble in Little China one)! I don't think MS will have an E3 this good though, not this year anyways. I think MS will still have a good E3 as long a there are unannounced 1st party games coming which show a shift in focus towards gaming. If they announce raytraced lighting for the 1X this year it will show off some of the real power behind the system. Finally, if they announce a MR partnership with Samsung it will be big news as well. Most important thing is games though. I know that Mr. X would agree with me here. I'm keeping expectations in check, as always, but if they manage all three announcements at E3 this year I'll be really impressed. There's definitely a Mic drop item in there somewhere; wouldn't surprise me if they announce a crackdown 3 beta happening straight away. I hope we get a tease about Halo. I hope 343 drops an unannounced IP on us, set to release within 12 months of E3. A Halo tease would be nice too, but what has 343 been up to since 2015 anyways if they're just now looking to develop the tech the game will run on? If there is Halo stuff then I think they'll double up,; X- enhanced version of Reach coming this year and 6 teased for next year. “Alright. Because of my comment yesterday I know I owe you guys a little more. I had a long - and I mean really long - chat with someone working on the game just today. I can't verify these things though as I won't risk anyones anonymity. So take this as a disclaimer - and just as a blank internet rumor. No doubt adding a Battle Royale mode! This mode makes so much sense for this game for both consumers and Microsoft. For consumers it will be unique amongst Battle Royales with its important use of environment and for MS it will mean that it can spread those expensive cloud compute resources over a significantly higher ratio of players per sever. MS try to create hype? Good for them. But nothing will help Crackdow 3 to be more then 7.5 game. Its MP game with bad not so detailed GFX from MS = automatic 7-8s. Destruction videos are ok - but there is no same desctuction in the gameplay shown and i fear will be not. Because what they show at E3 last year was the single player part not the multiplayer and remember there are two teams working in this game the single player part by sumo digital and the multiplayer part by ruffian but lets wait the final product before making any assumptions. Last edited by Blaze_ATX; 05-13-2018, 01:51 PM. Misterx Perhaps you are right, perhaps not. 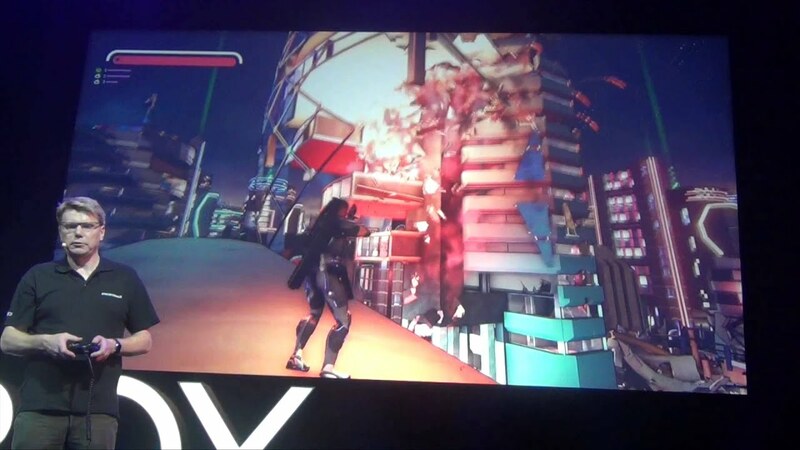 I see Crackdown as being two separate games, the single player and the multiplayer that both use the same assets. Its not a multiplayer focussed with a single player campaign tacked on and likewise isn't a multiplayer with a campaign added as an after thought. From the start it was clear that there were separate dev teams working on single and multi, they have also both been shown separately and even in different years! We have seen very little of either considering how long its been in development which could indicate that its a mediocre or even broken game that they are trying to salvage or equally could also mean that MS know they have a generation defining game on their hands and want to do it justice, maybe a bit of both. I am not expecting a 10/10 because its MS and they always get a much more critical reception than Sony do but I am willing to give it the benefit of the doubt until the product is seen in its final form. Even if Crackdown 3 is the bestest game ever we all know in the current environment the gaming media would never give it 10/10 scores as they have to pander to the massive PS4 fanbase for site clicks. Bro! Thanks for posting this info. I can't wait to play this game but the most am looking to play is the multiplayer. Last edited by Blaze_ATX; 05-13-2018, 11:34 AM. What's up Blaze? Am I the only one you dare to call a pony troll? Makes you look even more like a weirdo. Don't forget go to this link and follow the instructions. Last edited by Blaze_ATX; 05-13-2018, 02:23 PM. Remember there are two teams working in this game the single player part by sumo digital and the multiplayer part by ruffian but lets wait the final product before making any assumptions. You wrote this yourself, didn't you, blaze? If you are officially retarded, please forget anything I ever said to you because I don't want to be that guy. Last edited by Blaze_ATX; 05-13-2018, 07:29 PM. Microsoft have recently registered a trademark for MIXER REALITY. Last edited by Blaze_ATX; 05-13-2018, 01:40 AM. Interesting, bringing Mixer and mixed reality together. I hope MS have a killer app for this that was part of the reason for buying Beam rather than having the technology first and then trying to come up with an app to make use of it like we saw with Kinect 2. This is the reason Nintendo are so successful when they come up with a new gimmick, they develop a killer app hand-in-hand with the tech to the point where it can be debated about which one they came up with first, the app or the tech. MS are in a pretty unique position right now where they own some industry leading tech in various emerging areas and the platform for it all to run on. They have been here before though and managed to give up that head start to another player who went on to define the sector such as the iPad. Last edited by Smash_mouth; 07-07-2018, 12:00 PM. Yep! It's now official, Rage 2 trailer is coming tomorrow. Last edited by Blaze_ATX; 05-13-2018, 09:49 PM. Last edited by Blaze_ATX; 05-13-2018, 10:14 PM. I enjoyed RAGE. However, going by recent Bethesda trend, I think this will be a sort of soft reboot of the series. Hopefully its properly open world with plenty of vehicles and gadgets. I am personally excited for Borderlands 3. I really enjoyed 2 and it is one of my all-time favourite with some excellent DLC support. All times are GMT1. This page was generated at 12:56 AM.